Kaseya has been hard at work on our products, expanding our IT Complete Platform. We want to share with you exciting updates to VSA, BMS, Security, Backup and more! We also want to share with you some new additions to our product family. What will be coming soon! 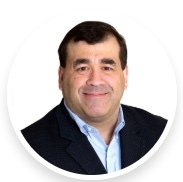 Mike Puglia brings over 20 years of technology, strategy, sales and marketing experience to his role as Kaseya’s Chief Product Officer, Mike is responsible for overall product strategy, management and development across Kaseya’s solutions. He has most recently served as the company’s Chief Information Officer. Prior to joining Kaseya, Mike was Vice President of Marketing for TimeTrade Systems where he was responsible for managing and executing marketing, program and communications strategy. Mike joined TimeTrade from Salesforce.com, where he led the Technical Program Management integration of real-time collaboration technologies into Salesforce’s Chatter Social Enterprise platform. Prior to his role at Salesforce, Mike was VP of Marketing at Dimdim, a provider of cloud-based collaboration software which was acquired by Salesforce in 2011. Earlier in his career, Mike served in successive executive positions in program management, product marketing and product management for software and computer security companies including Veracode, Lumigent Technologies (acquired by BeyondTrust) and Bluesocket (acquired by ADTRAN).